Although Queensryche were initially grouped in with the legions of chart-metal bands that dominated the American heavy metal scene of the '80s, they were one of the more distinctive bands of the era. This prized early performance from 1983 in support of their first EP and forthcoming major label debut The Warning, highlights the combined power of Geoff Tate and the force of DeGarmo and Wilton at its savage best. Recalling icons of NWOBHM, Queensryche's sound here, is an uncompromising display of power, summed up in three words; total, brutal, metal. 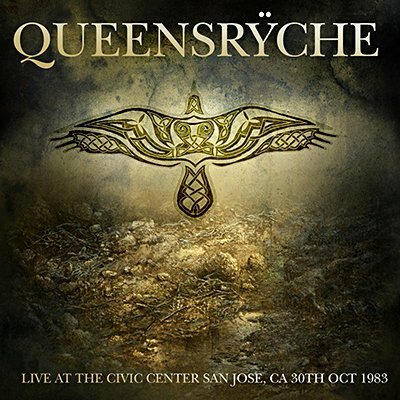 Klondike proudly presents the entire King Biscuit Flower Hour broadcast of Queensryche live from the Civic Auditorium, San Jose, CA, 5th October 1983, supporting Dio on their classic Holy Diver tour. Professionally re-mastered original broadcast with background liners and rare archival photos.